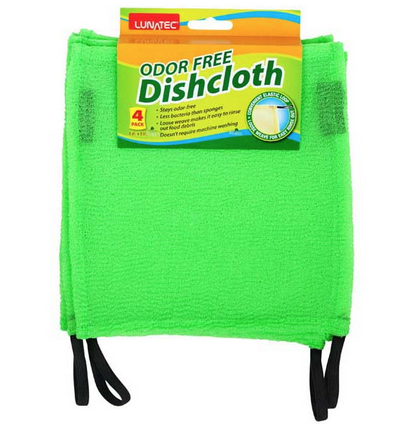 Next time you do dishes on your small boat, do it with this special odor-free, easily rinsed dishcloth. They don't retain moisture like a cotton cloth, and they hold less bacteria than sponges. Shipped as a 4-pack.